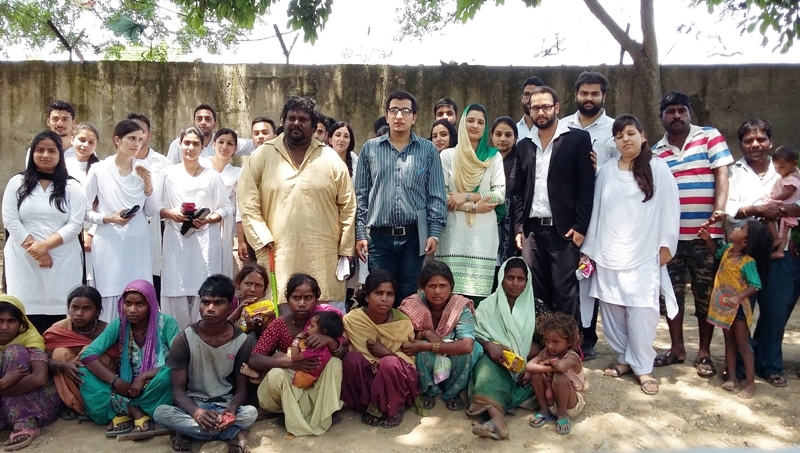 Dogra Law College organized a Legal Literacy Camp at Trikuta Basti (Slum Area), Trikuta Nagar, Jammu in collaboration with Childline, Dept. of Law, University of Jammu. Around 40 students of 3 Year LL.B. Course participated in it and awared the masses about their rights and duties. The students were accompanied by their faculties, Mr Sajid Sheikh and Ms Pavita Badyal. The students found out that most of the families in slum areas aren’t aware of the RTE act. Many of those who admitted their wards, later had to quit due to adverse situations created by the schools. Upon preliminary survey it was found out that around 550 slums existed in that area which contained a population of around 1500-2000 people. Information about free legal aid, RTE and other social security schemes including new insurance schemes initiated by PM, was imparted to them. The people there face acute water shortage and have no water cooler facility. Also garbage is not being properly disposed off on timely basis. No fumigation is being carried out on timely basis. Many other problems have also been identified which will be addressed with the requisite authorities on urgent basis. The dwellers of that slum expressed their gratitude towards the students and appreciated their social cause.